In this installment of She Means Business, we spoke with Jaime Clifford, Owner of Optimal Wellness, a holistic health practice in Deer Park, New York. Clifford shares her journey from an employee at the company to becoming the owner of the practice; how she overcame a failed business partnership and how she navigated an expansion that brought her company to the brink of bankruptcy to a now thriving practice. In the latest Biz2Credit report on the State of Women-owned businesses, the disparity in performance measures of female-led companies appears to be growing even while more women are opening new businesses. 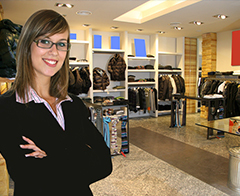 Business loans for women continue to lag on several measures compared to male-owned companies. Women-run businesses have lower average revenues, have lower rates of approvals on loan requests and the amount of approved loans is smaller. However, according to Biz2Credit CEO, Rohit Arora, this trend may not be the result of a secular decline but a result of a wave of newer businesses being started by women. Arora suggests that the reason revenues have dropped is due to the sheer numbers of new businesses being started. Jaime Clifford has been the owner of Optimal Wellness since 2009. She says that after working for the company for 3 years, the owner approached her with the idea of purchasing the practice. We spoke with Jaime Clifford about women’s business leadership challenges. 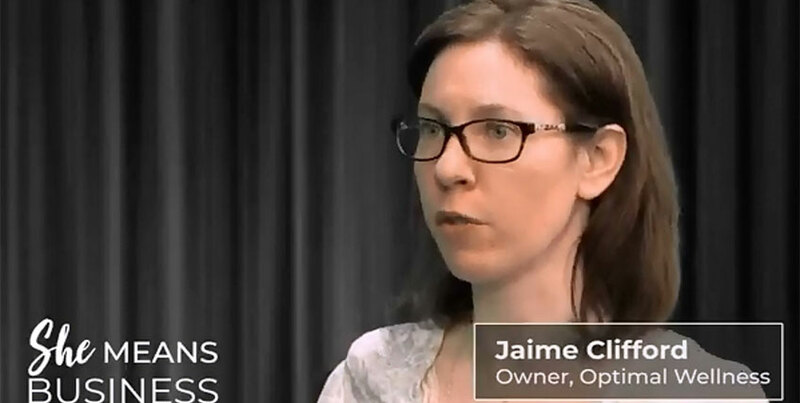 After 3 years in the practice and a lot of technical training, Jaime says that she felt ready to take the plunge into business ownership. But despite the preparation and years of training, she says that the transition from employee to owner was beset with challenges. Initially, she bought the practice with a business partner and the two aggressively tried to expand the company, opening a second location. When the business partnership dissolved and it was no longer viable to operate a second location, Clifford says she faced monumental challenges. From family members urging her to quit to facing financial challenges and the decision to close the second office, Jaime Clifford says that perseverance and a will to follow her passion was the driving force behind her success. Clifford’s first major challenge after separating from her business partner (a male) was securing business financing. “After the partner and I went separate, getting a loan was a lot harder being a woman,” she recalls. However, she says that her persistence eventually resulted in getting the necessary financing to recover from the disruption of separating from the partner, closing the new office location and rebuilding the original business. Jaime is an intellectually honest individual, and one gets the sense within minutes of speaking with her of an acute understanding that she is self-aware. She is generous in attributing her success to those who have mentored her and from those she has drawn her inspirations. Jaime is clearly an individual who embodies the virtues of her occupation in holistic healing; that comes through in her demeanor and speech. But behind the business success, Jaime Clifford trained hard, learned her trade and faced some of the most difficult challenges of entrepreneurship in the process. She is one of the fortunate few who seemed to have found her life’s calling…and, She Means Business.